This LiPo upgrade for the Losi Mini 8IGHT-T will greatly improve your performance and runtime. Be sure to add the Battery Tray Insert from the drop-down menu on this product if you don't already own one. It is required for this battery to fit. 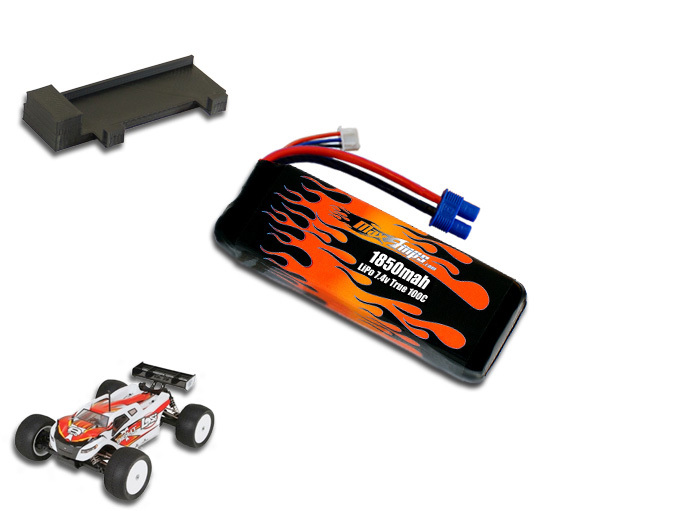 Note: Losi Mini 8ight-T runs the EC3 connectors.